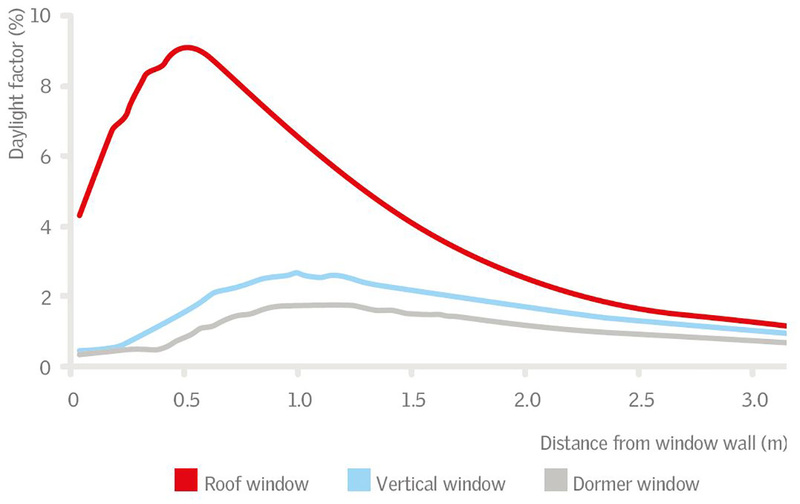 Under similar conditions, roof windows are shown to provide at least twice as much light as vertical windows of the same size, and three times more light as dormers of the same size, illustrated in Figure 1.6.1 The roof window also provides a larger variation of light levels, which increases the visual interest of the room (Johnsen et al., 2006). 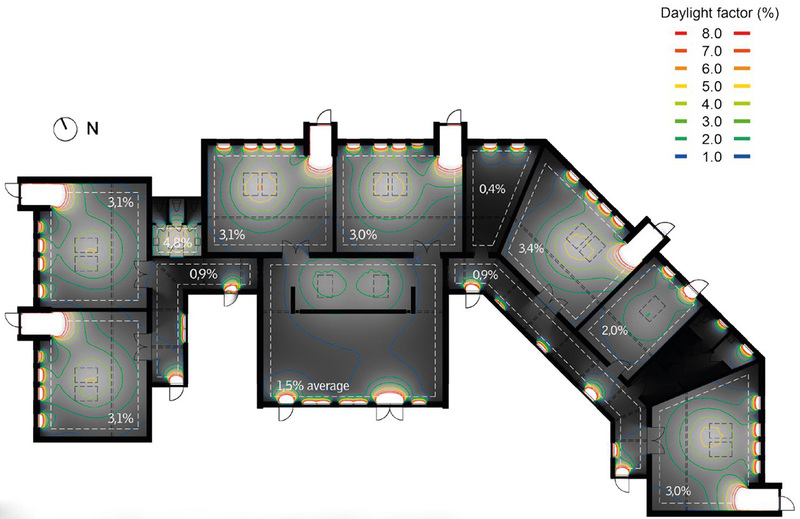 ​Figure 1.6.1 Comparison of daylight factor levels along the depth of the room. ​Figure 1.6.2 Fish-eye rendering of view toward the window wall under sunny sky conditions in December at noon. The images show that the sunlight comes directly into the field of view in all three cases. For the roof window, however, the sunlight seems to cause less glare. In addition to providing more daylight, roof windows are also shown to give higher wall luminance than dormer and facade windows, which results in a softer transition between the high luminance of the window pane and the adjacent wall, and thus reduces the risk of glare. 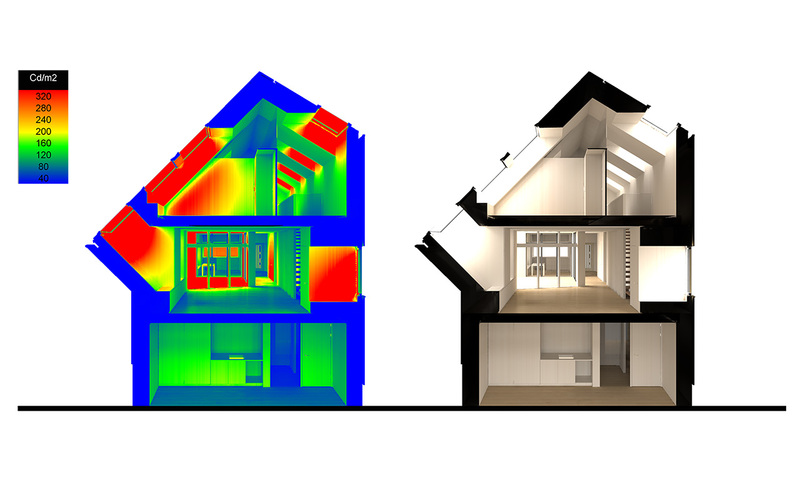 The figure above shows the difference between the perceived glare from a facade, dormer and roof window. 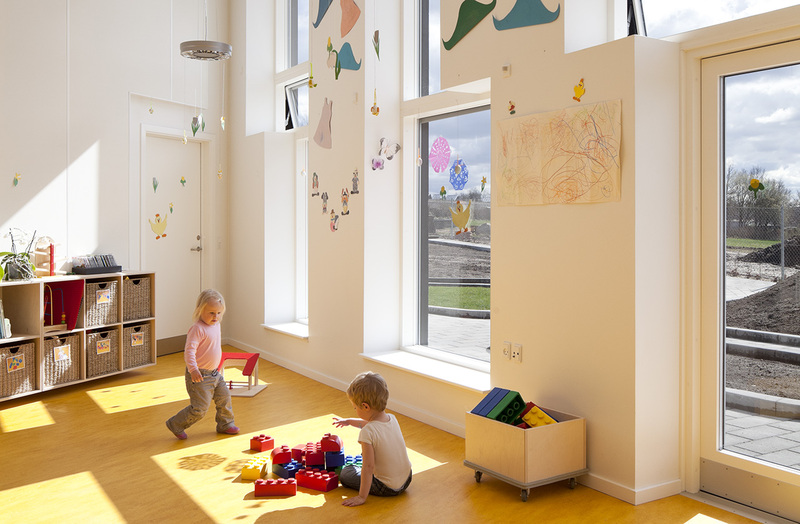 The architect firm Christensen & Co Architects (CCO) used daylight factor simulations to validate and optimise daylight conditions in this kindergarten project. The daylight factor simulation of the initial design showed areas of the building where the light levels were not sufficient, such as the gymnastics room located in the central part and the dining room facing east (e.g. 5% DF instead of 2% DF). By contrast, it also showed high light levels in certain areas that could be used to optimise daylight levels throughout the building. According to the architect, the position and design of the window linings have been optimised in the final design to achieve optimal daylight conditions in all key areas of the building, and to promote a more rational solution in terms of ceiling construction. The daylight factor simulation of the final design, shown in the figure below, shows a significant improvement on the results obtained with the initial design. ​Figure 1.6.3 Daylight factor simulation of the initial design (left) and final design (right) of Solhuset kindergarten. 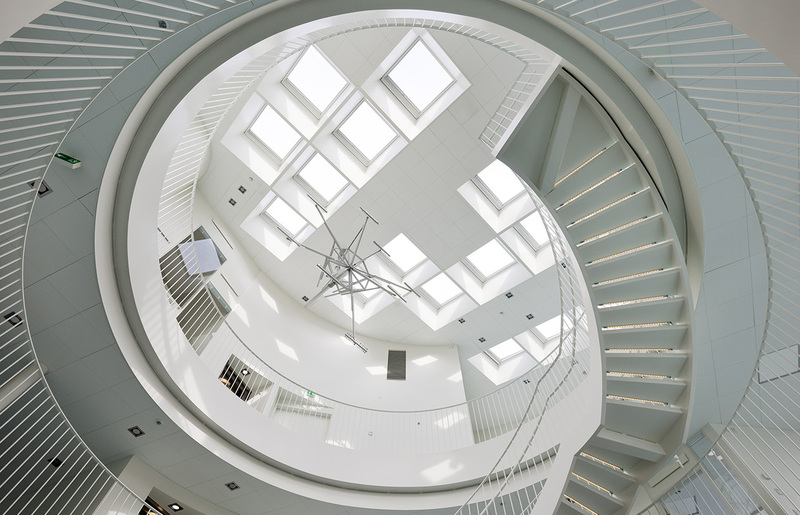 Daylight is the perfect material for renovation and indoor climate improvements of existing building structures.Improving daylight conditions can help significantly to revitalise the use of a space and to improve the comfort and well-being of the occupants. 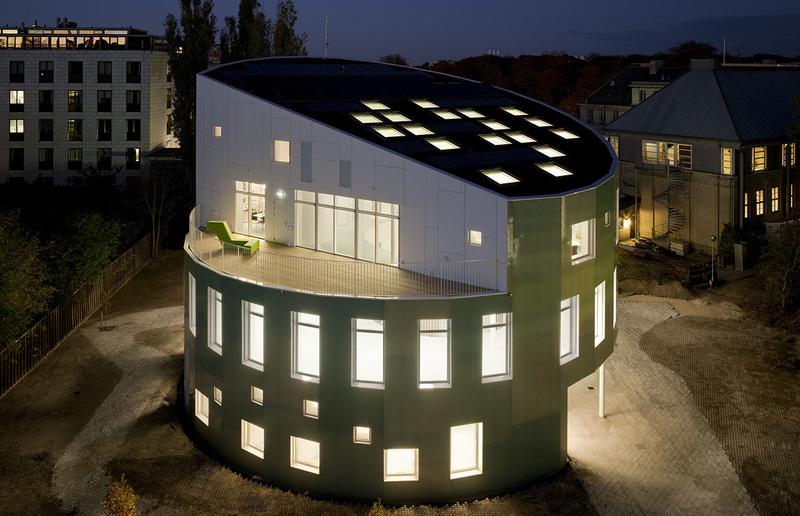 This kindergarten project was a former town hall and had a flat roof with no windows or skylights before the intervention. 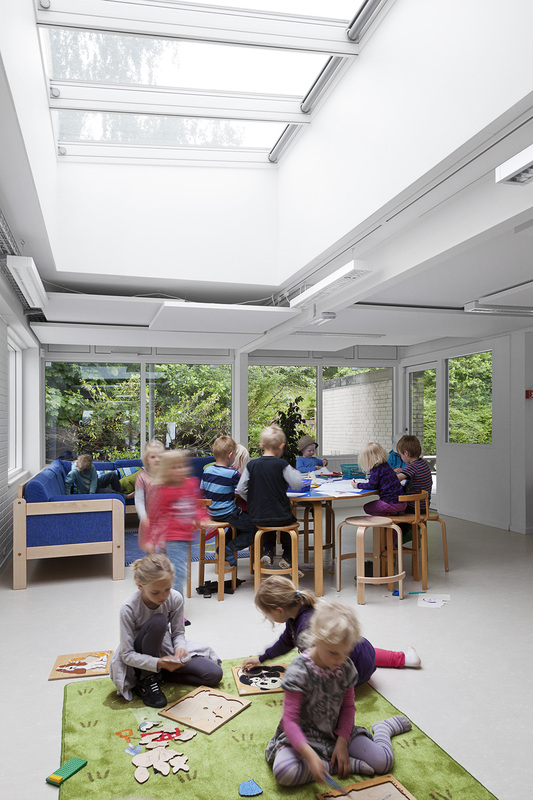 CASA architects used VELUX Modular Skylights and flat roof windows to add daylight in the project’s key areas and provide children with bright interior spaces. 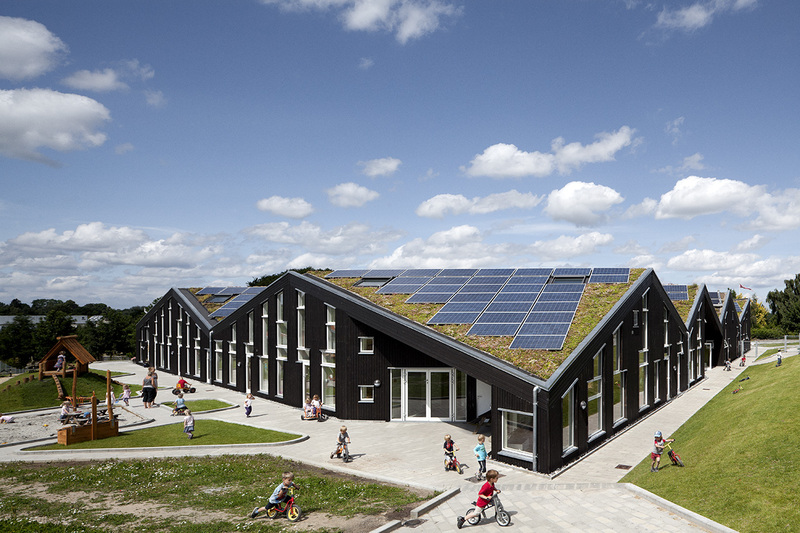 ​Figure 1.6.4 Daylight factor rendering of Drømmebakken kindergarten project in Denmark. 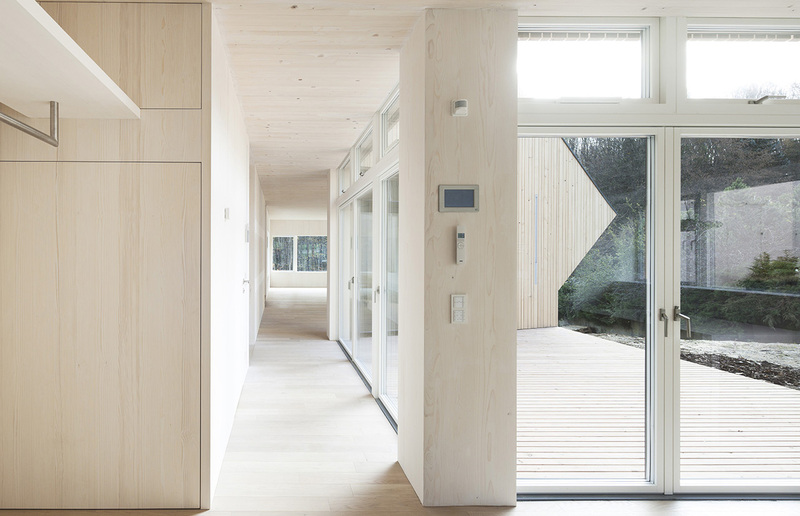 The daylight performance of Green Lighthouse, a VELUX 2020 Model Home, has been evaluated with daylight factor simulations. In order to show the effect of VELUX roof windows, a comparison of the daylight conditions with and without the use of roof windows was performed. 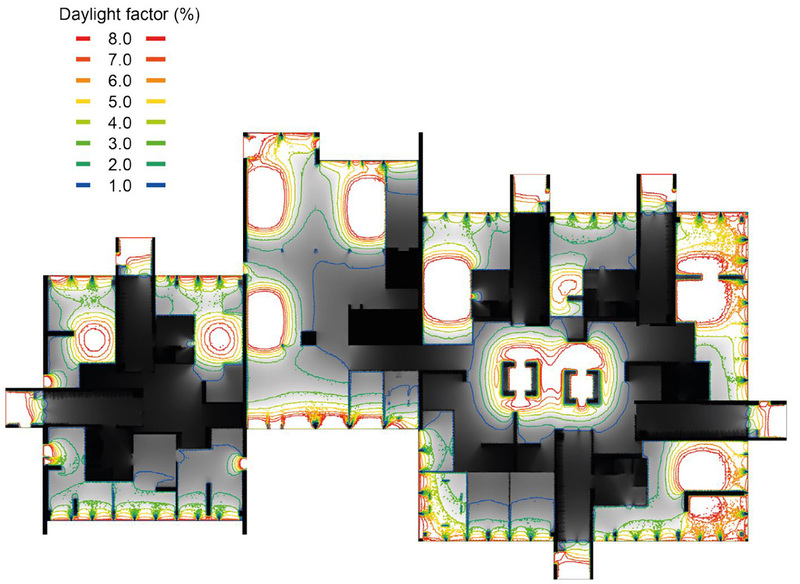 The results, presented in Figure 1.6.5, show that the roof windows deliver high levels of daylight to the second floor’s lounge area, providing the occupants with a healthy, strongly daylit indoor environment, and with contact to the sky. The results also show that the use of roof windows contributes to raising daylight levels on the lower floors substantially via the bright atrium space, and results in a better distribution of daylight on all floors by balancing the light coming from the facade windows. 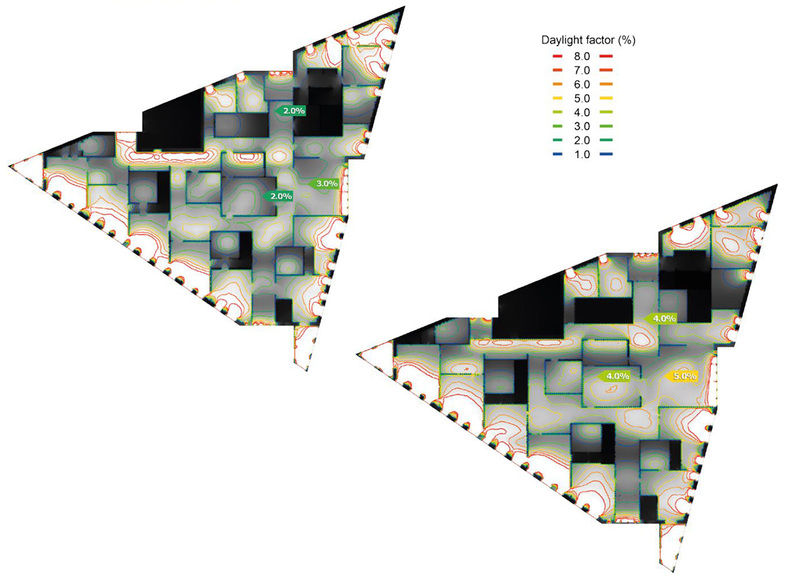 ​Figure 1.6.5 Daylight factor renderings of Green Lighthouse comparing daylight performance with and without roof windows. 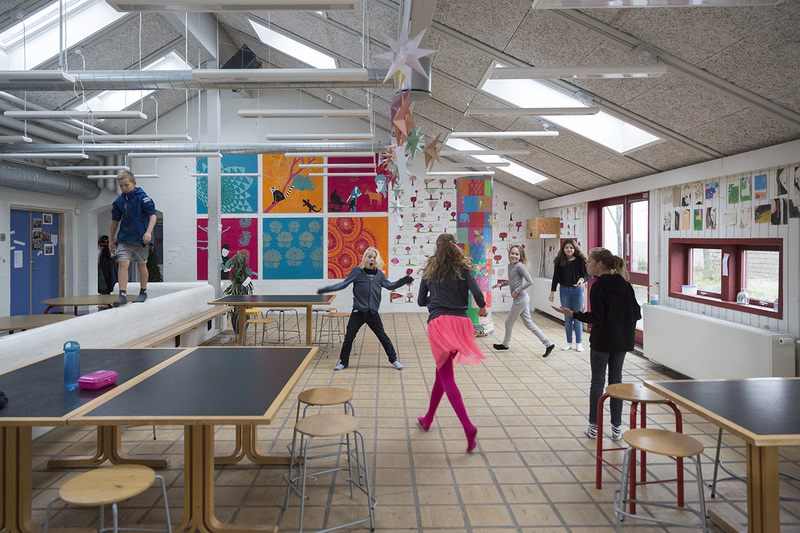 The effect of adding roof windows in Langebjerg School was evaluated with daylight factor simulations comparing the daylight performance before and after renovation, in which four roof windows were added to each classroom, as well as in the circulation areas. Figure 1.6.6 shows the daylight factor results obtained with the initial design in which the classrooms have two roof windows. The simulation results show that classrooms had average DF levels of around 3.0%-3.4%, with the exception of one room that had an average DF of 1.5%. 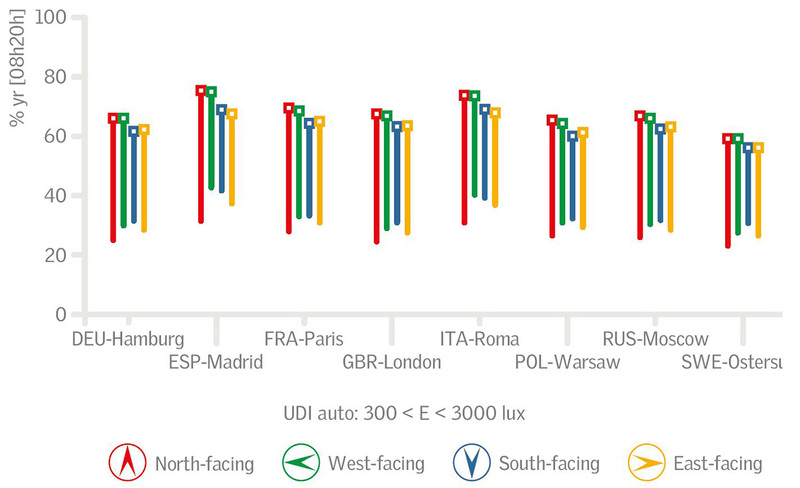 The daylight factor levels obtained for the new proposal of the school are shown in figure 1.37. The addition of 3 to 4 roof windows in each classroom results in reach higher DF levels ranging between 4,4% and 5,3%, but most importantly they help achieve a much better distribution in the individual classrooms to ensure that each student desk receives adequate levels of daylight and reduce the contrast in the daylight levels of the room. ​Figure 1.6.6 Daylight factor simulation before renovation. ​Figure 1.6.7 Daylight factor simulation after renovation. VELUX Roof windows are used to deliver daylight both on the ground floor and first floor of Sunlighthouse, as shown in Figure 1.6.8. 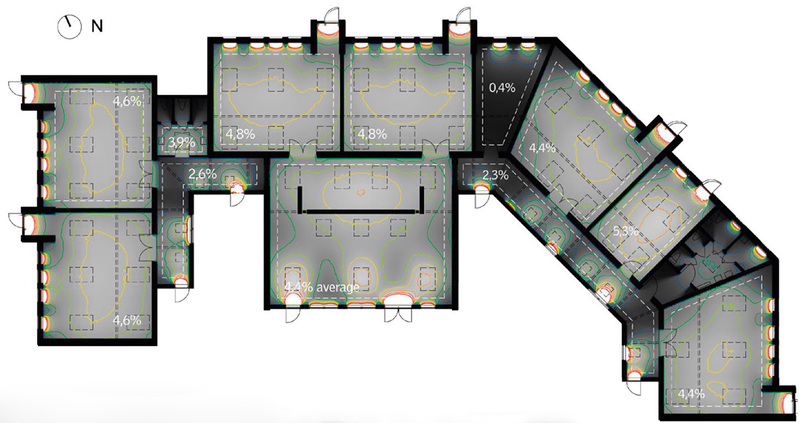 Daylight factor renderings of the ground floor and first floor show that all the main living areas of the house have generous levels of daylight above 5% DF, see figure 1.6.9. The analysis also show that the house and its occupants will benefit from bright circulation areas under the roof window on the first floor and around the courtyard on the ground floor. Figure 1.6.8 Section view of a luminance rendering showing daylight distribution in false colour (left) and photo-realistic (right). ​Figure 1.6.9 Daylight factor rendering of Sunlighthouse ground floor (left) and first floor (right). The building monitoring report of Sunlighthouse also demonstrates the effect of the good daylight conditions, with very few hours in the year when electric lighting was used during daytime. The figure below shows electric lighting usage in the kitchen space from January to November. Figure ​1.6.10 Temporal map of electric lighting usage in Sunlighthouse. The blue line represents the time of sunrise, and the red line the time of sunset. 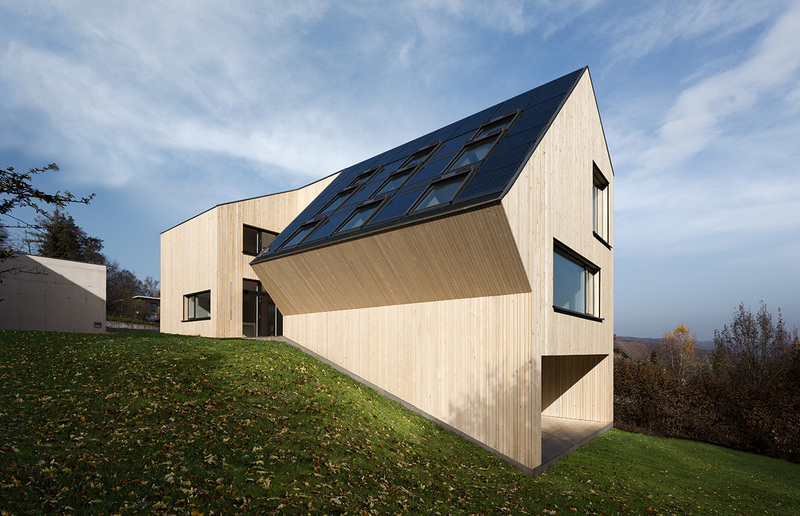 A recent study investigating the effect of adding roof windows to a single-family house has shown that roof windows and better daylight conditions can be tied to several positive outcomes, and this in all climates in Europe. First and foremost, the addition of roof windows led to a marked increase in the amount of daylight and its occurrence in levels in the key UDI autonomous range of 300-3 000 lux. The figure below shows increases of daylight provision in the range of 40% from the addition of roof windows to the kitchen space across all climates and orientations tested (Mardaljevic et al., 2012). 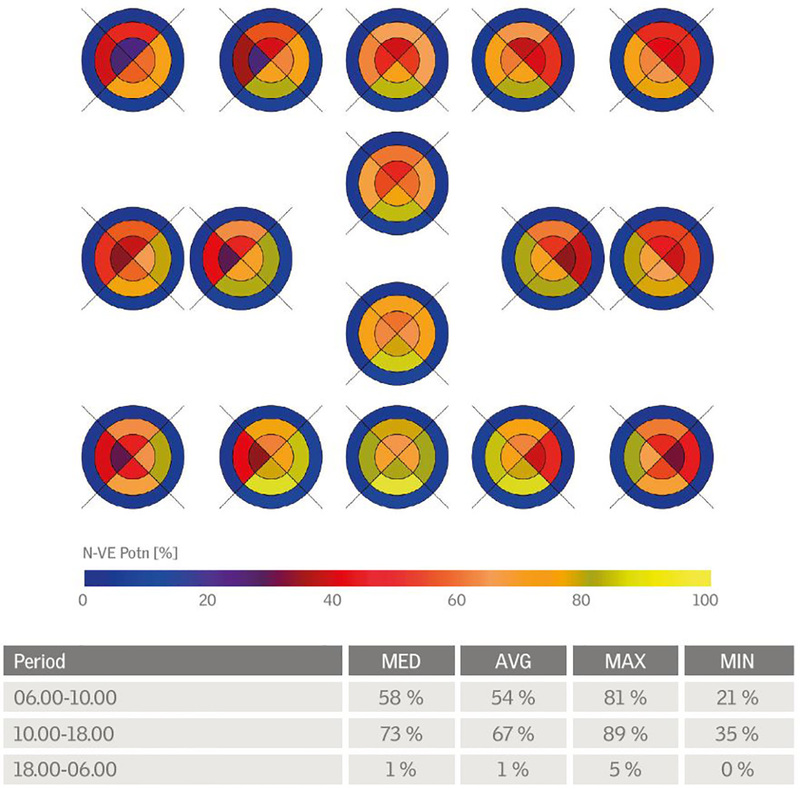 ​Figure 1.6.11 Impact of adding roof windows on the occurrence of daylight levels in the range 300-3000 lux. The higher levels of daylight increase the number of hours when electric lighting will not be needed, which, in turn, results in significant energy savings for lighting. The figure below shows energy savings in the area of 100 KWh/yr across all climates and orientations tested (Mardaljevic et al., 2012). 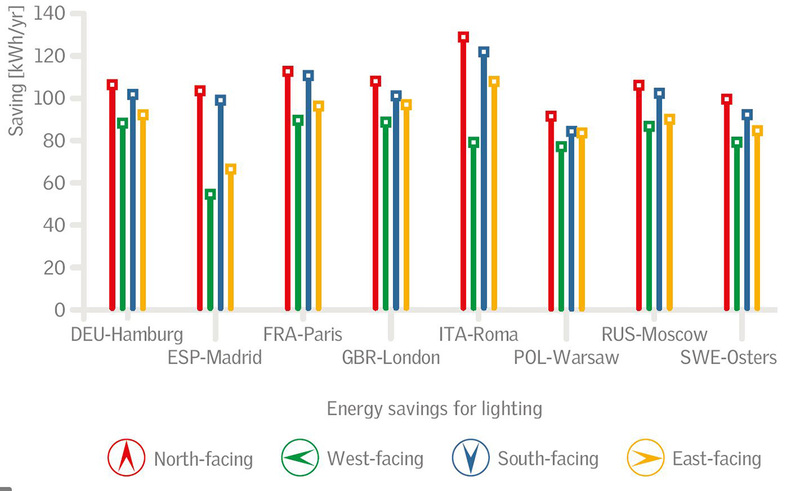 ​Figure 1.6.12 Impact of adding roof windows on energy savings for lighting. 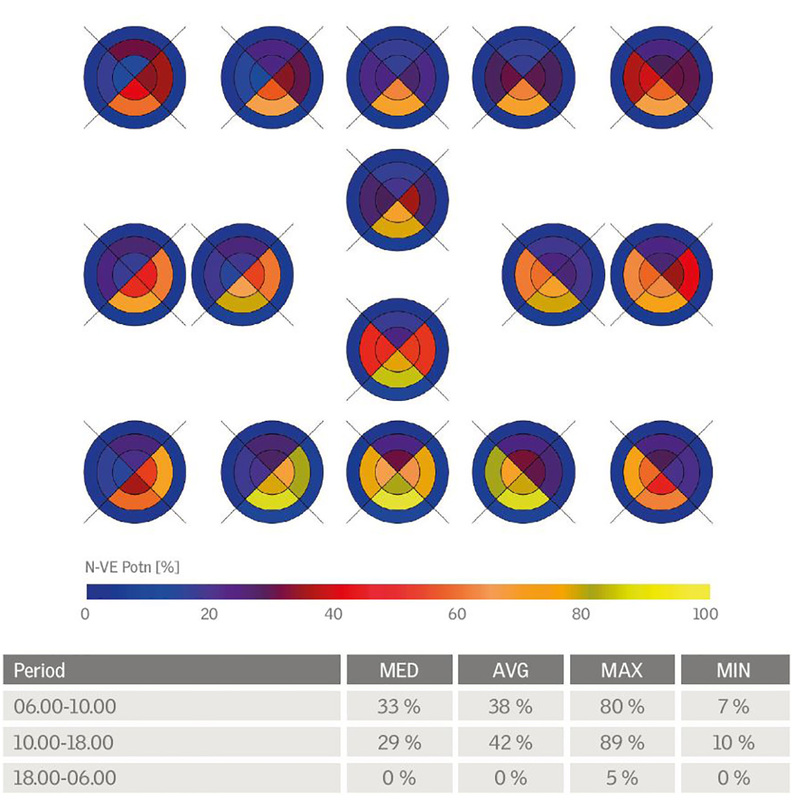 The study also investigated the impact of adding roof windows on the amount of daylight received at eye level at specific periods of the day and night in order to evaluate the non-visual of effects of light. 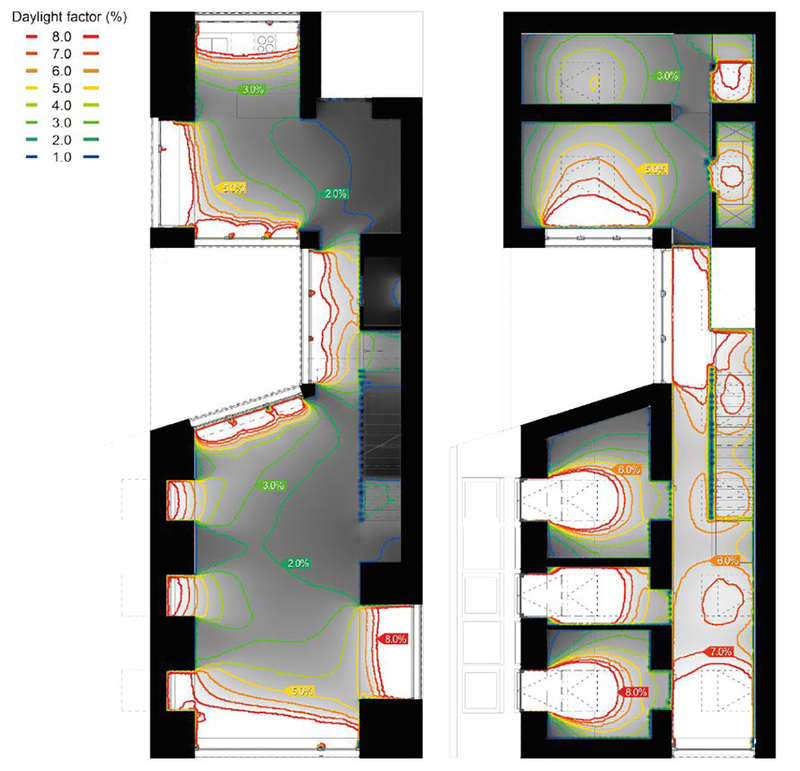 Figure 1.6.13 shows the results obtained for the living room in Rome. Each circle represents a specific view position with four view directions and three time periods. The results showed significant increases for potential non-visual effects of daylight with the addition of roof windows: a 25% increase in the morning period and a 45% increase in the afternoon period. Similar increases in performance were seen in all rooms and across all climates and orientations tested. 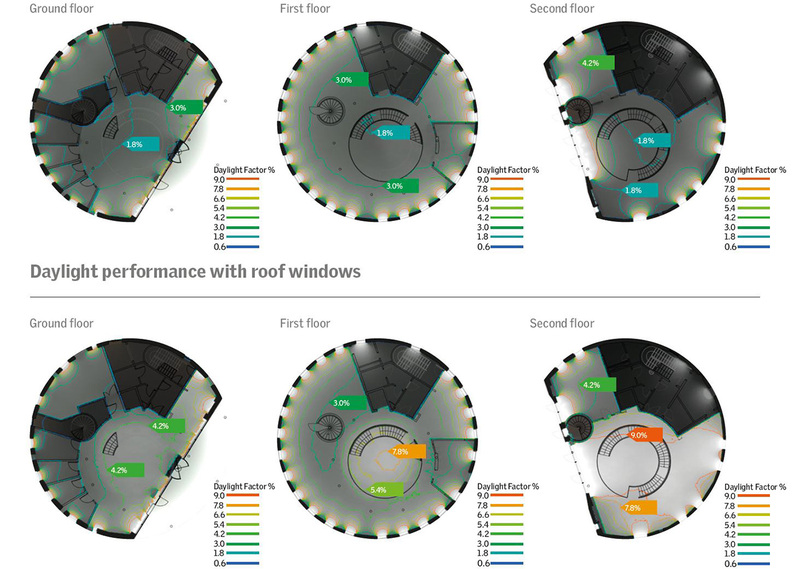 ​Figure 1.6.13 Impact of adding roof windows on the potential for non-visual effects of daylight for multiple positions, view directions and time of the day. 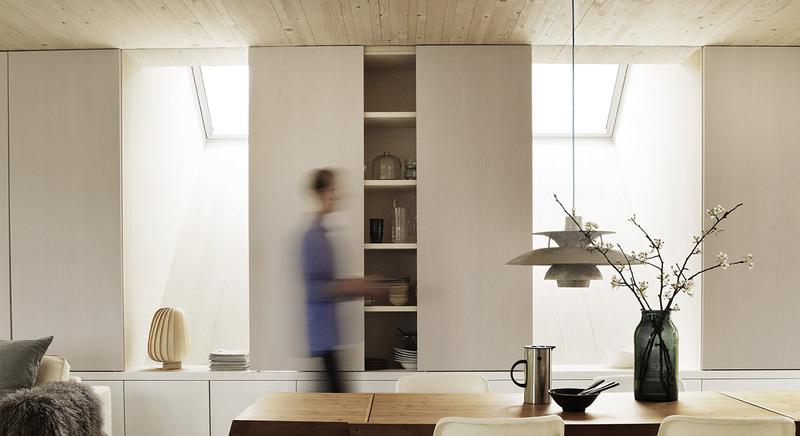 Johnsen K., Dubois M., Grau K. (2006) Assessment of daylight quality in simple rooms, Danish Building Research Institute. Mardaljevic, J., Andersen, M., Roy, N., Christoffersen, J. (2012) Daylighting, Artificial Lighting and Non-Visual Effects Study for a Residential Building, VELUX.